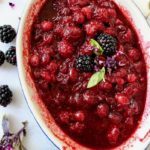 The absolute best cranberry sauce recipe mixed with blackberries and a balsamic vinegar reduction, a touch of maple syrup, vanilla, rosemary and orange. Vegan, simple, easy, fat and gluten free, makes perfect leftovers to use in your peanut butter and jelly sandwiches all week long. Not your classic Thanksgiving canned relish that everyone leaves behind you guys! It’s all about the magic of homemade instead. This balsamic cranberry sauce is a total game changer when it comes to your holiday menu. You can easily swap the blackberries in the recipe for purple figs, If you can still find them this time of the year of course. Throw a sprig of rosemary in there next to the orange peel If you aren’t afraid of a little Italian flavor shining through. 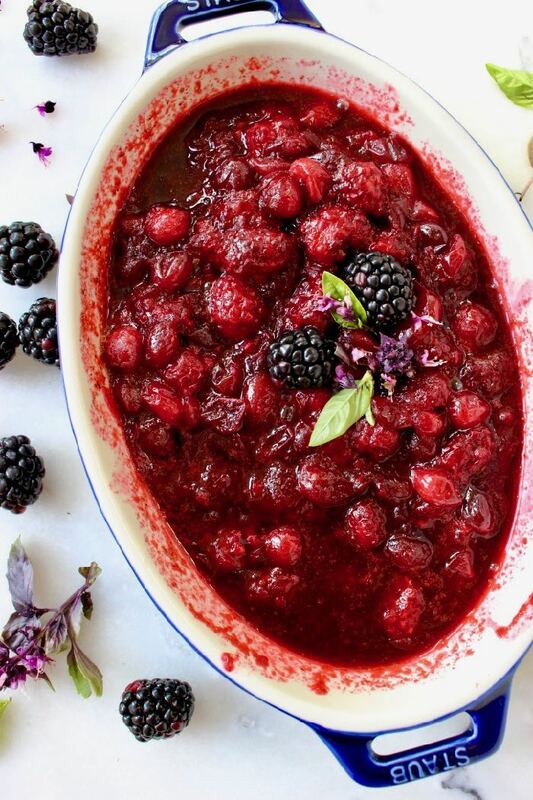 Since someone asked If vegans can have cranberry sauce, I really wanted to share this recipe and show you how delicious a simple plant based life can be! note worthy: this balsamic cranberry sauce can be made ahead of time and brought to room temperature before serving. It also keeps well in the fridge in a glass container with a tight lid for up to one week. 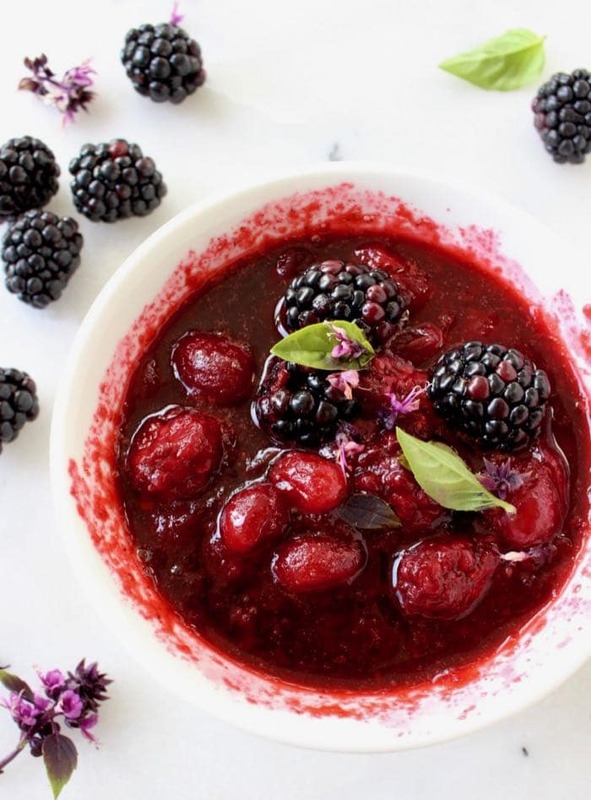 Add the cranberries, blackberries or figs to a medium pot together with the balsamic vinegar, maple syrup, vanilla and rosemary sprig. Bring to a simmer and cook on medium flame until the cranberries begin to burst. About 6 minutes or so. Remove from flame and adjust sweetness to your taste with more syrup If it seems too tart. Allow to cool completely before serving garnished with the fresh basil. 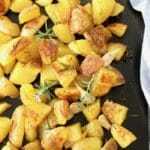 Don't forget to discard the rosemary sprig and orange peel before serving. 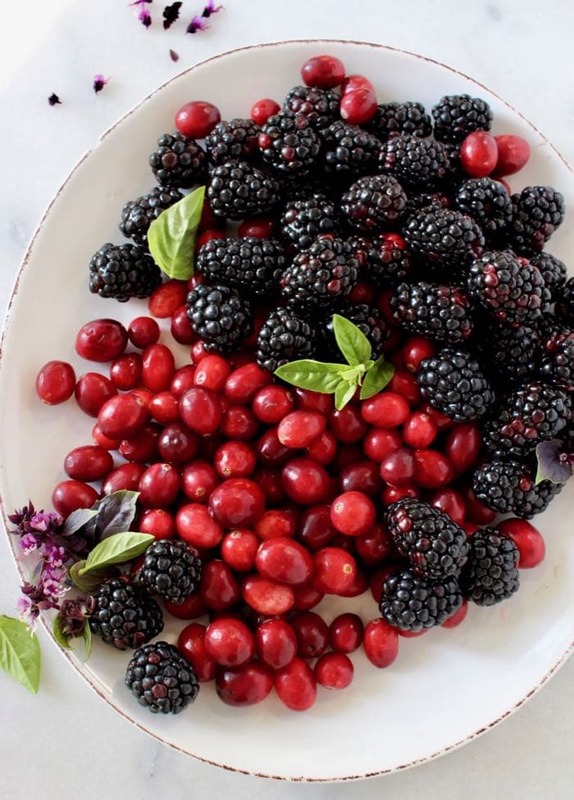 Love, love, love this Italian spin on cranberry sauce. Now this is something different, making it again on Thanksgiving for the family. 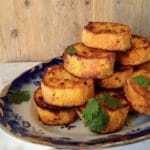 This sounds like it would be really good on your sweet potato rounds with goat cheese recipe. Yes definitely and now you can even buy vegan goat cheese! Wowza! If useind figs make sure to squar…….. part of this appears cut of. What should I make sure not to do ? Just make sure to cut the figs into smaller pieces, they should be fine just quartered.